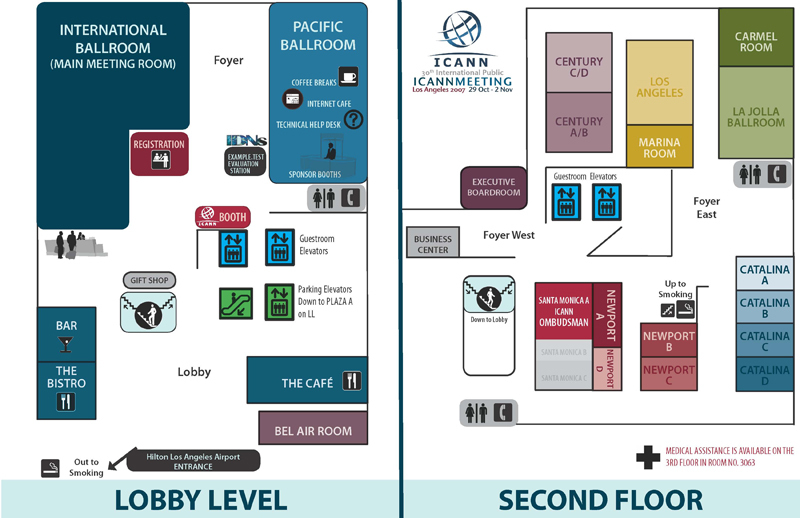 The IDNs Evaluation Station provides an introduction to a test of IDN top-level domain names that ICANN is coordinating. The test is based on eleven new internationalised domains representing the name example.test entirely in scripts other than the familiar Latin characters that appear in current top-level labels. 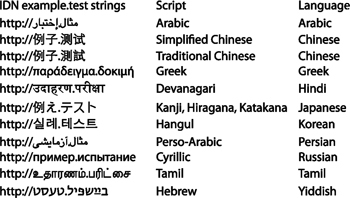 The languages initially selected for illustrating this are listed in the table below. Public participation in the evaluation of these domains is one of the most important parts of the project. Joining this initiative requires nothing more than for you to click through one or more of the links on the IDNwiki. Were there any problems that you couldn't solve? Can the evaluation facility be improved? A discussion page is linked to every article in the IDNwiki and users can place their commentary where they feel it is most relevant. This user feedback will be valuable in planning and implementing the final steps leading to the delegation of top-level IDNs. Stop by the IDNs example.test Evaluation Station and participate in the future of the Internet!